Prime Minister Sheikh Hasina is set to address a press conference to brief the media about her just-concluded bilateral official visit to Brunei Darussalam. Sri Lanka has revised down the death toll from last Sunday's wave of bombings by more than 100, to "about 253", the health ministry says. 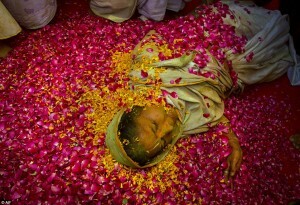 It blamed a calculation error and the difficulty of identifying victims. The additional deaths were the result of the wounded dying of their injuries. At least 500 people were injured in the attacks, according to the AFP report. 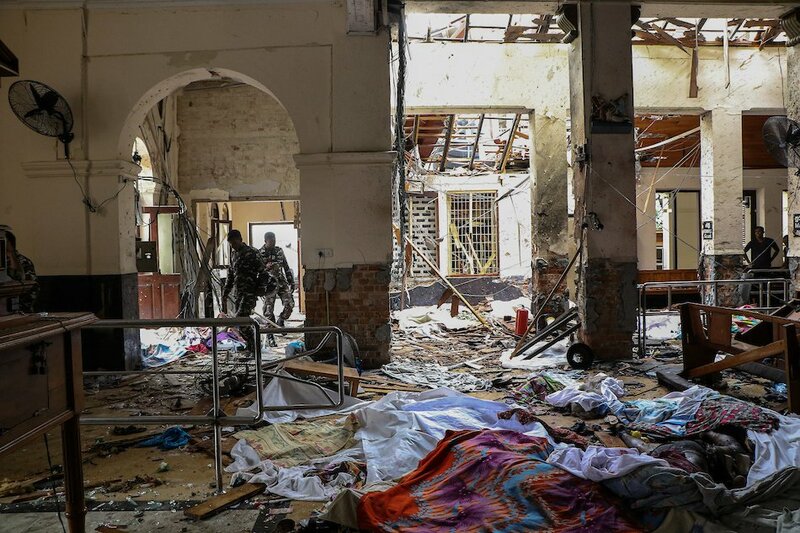 An Islamic extremist believed to have played a key role in Sri Lanka’s deadly Easter bombings died in an attack on a Colombo hotel, the country’s president confirmed Friday. Sri Lankan police have apologised after they wrongly identified a US woman as a suspect in the Easter Sunday attacks. 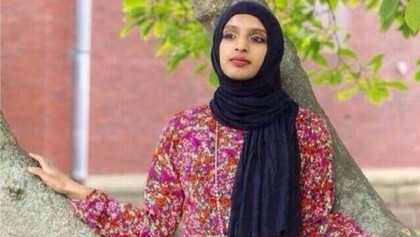 Amara Majeed is a Muslim activist and author who wrote a book, titled The Foreigners, to combat stereotypes about Islam. 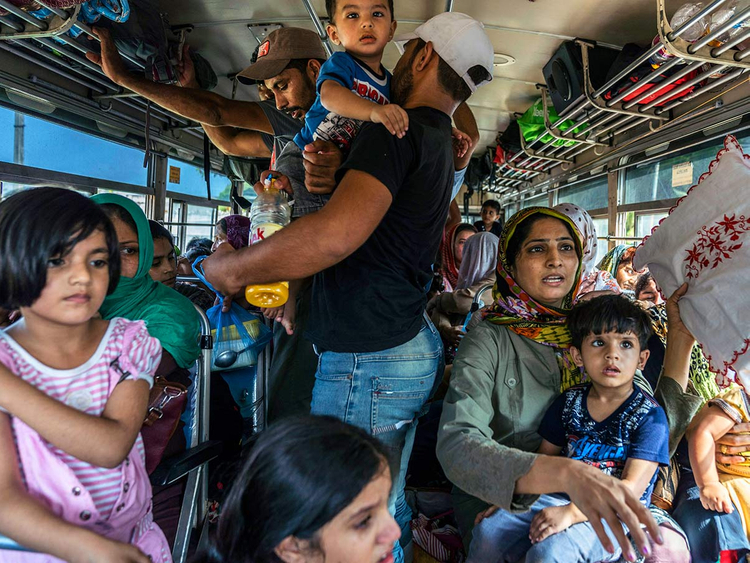 Sri Lanka's government said Thursday it was suspending plans to grant citizens of 39 countries visa-free entry during the country's tourism low season in the wake of deadly Easter bombings. 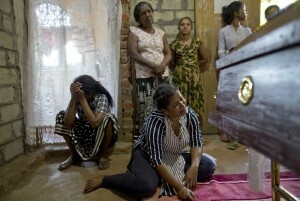 Sri Lanka's Catholic church suspended all public services over security fears on Thursday, as thousands of troops joined the hunt for suspects in deadly Easter bombings that killed nearly 360 people. Awami League leader Sheikh Fazlul Karim Selim’s grandson Zayan Chowdhury, 8, was laid to rest at the Banani graveyard in the capital this evening. Earlier in the day, his namaz-e-janaza was held at Banani Chairman Bari ground in the city around 5 pm today. 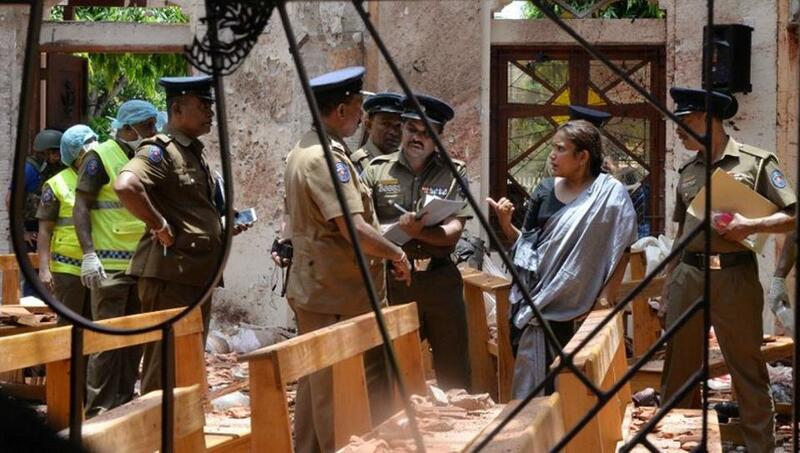 One of the nine bombers that detonated explosives in Sri Lanka on Easter Sunday was a woman, deputy defence minister Ruwan Wijewardene told reporters on Wednesday. 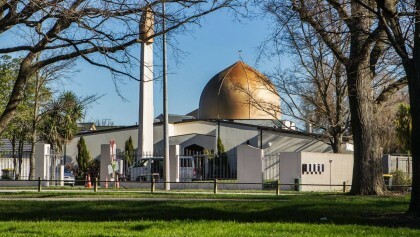 New Zealand's Prime Minister Jacinda Ardern says she hasn't received any official advice from Sri Lanka or seen any intelligence reports to corroborate claims from Sri Lanka's government that the Easter attacks were in retaliation for the mosque massacres in Christchurch last month. Ardern told reporters in Auckland that Sri Lanka is in the early stages of its investigation, and that New Zealand plans to stand back and allow it to proceed. She said she hadn't been in direct contact with Sri Lanka, although officials from the two countries were in contact. The toll from a string of deadly suicide bomb attacks in Sri Lanka has risen to 321, with several people dying of their injuries overnight, a police spokesman said Tuesday, according to AFP report. 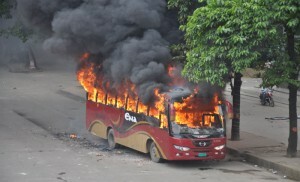 Police said that 40 arrests have now been made, but the government has not yet identified who carried out the attacks. About 500 people are injured and dozens of foreigners are among the dead, according to the BBC report. The country is in shock after the Easter Sunday bombings and a curfew was lifted in the last few hours. There are reports of social media networks being temporarily restricted to try and stop misinformation spreading. Popular messaging services like WhatsApp and Facebook are said to be unavailable to many. Interpol - the International Criminal Police Organisation - says it is sending an Incident Response Team (IRT) to assist with crime scene investigation, the examination of explosives, counter-terrorism and victim identification. "If required, additional expertise in digital forensics, biometrics, as well as photo and video analysis will also be added to the team on the ground," the organisation said. "The families and friends of the victims of these bombings, as with every terrorist attack, require and deserve the full support of the global law enforcement community," Interpol secretary general Jürgen Stock added. 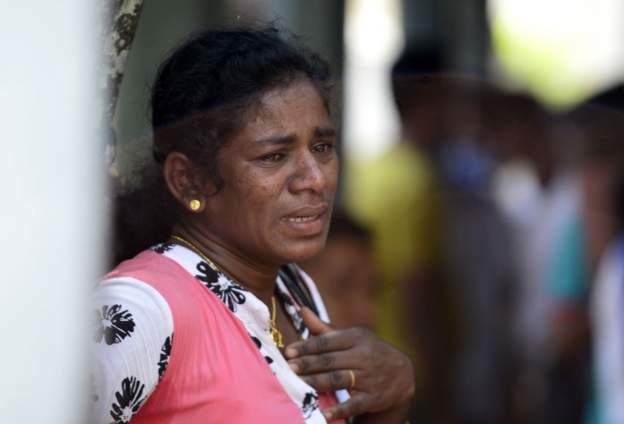 Some hid their eyes, some collapsed in tears as gruesome images of victims from Sri Lanka's Easter massacre were projected on to a screen in front of distraught relatives at a Colombo morgue on Monday. Not much is known about the group Sri Lankan officials believe was behind the attacks. 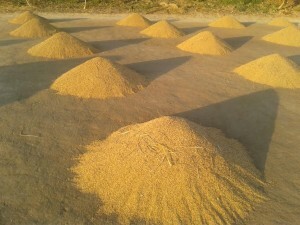 However, Alan Keenan, the Sri Lanka director for the non-profit organisation, International Crisis Group, suggests National Thowheed Jamath may be the same group that was involved in a "small but nonetheless important incident" last year. 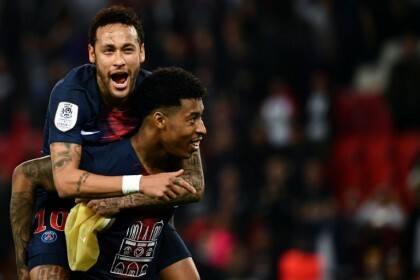 "In December in the town of Marwanella... [some] statues of the Buddha were smashed and the police eventually arrested a group of young men who were said to have been the students of a preacher who's named in the intelligence document that came out yesterday," he told the BBC. Saudi Arabia's national carrier airline has said that two of its crew members are unaccounted for following a series of explosions at several churches and hotels in Sri Lanka. In a statement on Twitter on 21 April, Saudia said two crew members were missing, while another air hostess was hospitalised in the Sri Lankan capital Colombo with "minor injuries". The statement did not mention the nationalities of the missing and injured and did not say where they were at the time of the blasts. 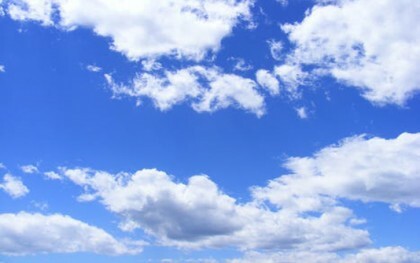 Saudi newspaper Arab News reported that the two missing crew members were Saudi nationals. 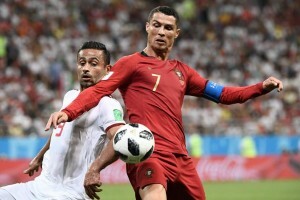 UAE-based Gulf News said the crew members had been staying at the Cinnamon Grand hotel in Colombo at the time of the attacks. At least one new explosion has have been reported in Colombo. There had been a "small explosion". 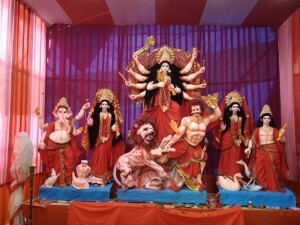 The shrine was one of the places targeted by the bomb attacks on Easter Sunday. According to the BBC Sinhala's Azzam Ameen, the blast happened while "security forces personnel... tried to defuse a newly discovered explosives in a vehicle". 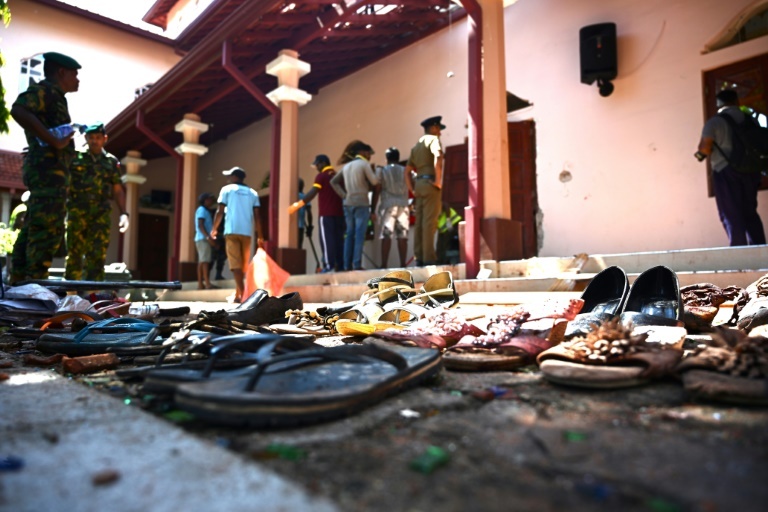 A petrol bomb attack on a mosque and arson attacks on two shops owned by Muslims are reported in two different parts of Sri Lanka, police said. Sri Lankan President Maithripala Sirisena will ask for foreign assistance to find the international links to Sunday's attacks. 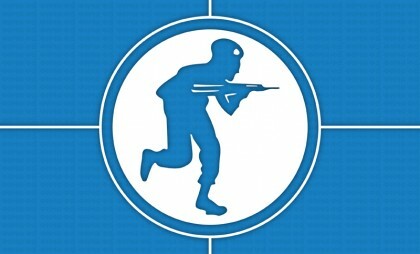 "The intelligence reports (indicate) that foreign terrorist organisations are behind the local terrorists. Therefore, the president is to seek the assistance of the foreign countries," his office said in a statement. Cabinet spokesman Rajitha Senaratne earlier said there was an international network "without which these attacks could not have succeeded". Sri Lanka's National Security Council has announced plans to impose a "conditional state of emergency" from midnight. A press release from the president's media unit referred to articles on combating terrorism as basis for the action. It said the measures would target terrorism and would not limit freedom of expression. It comes ahead of a national day of mourning scheduled for Tuesday for the 290 people killed in the attacks. 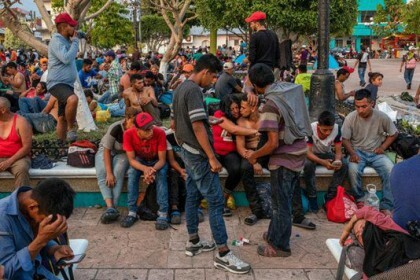 Authorities in Sri Lanka received warnings about a possible attack two weeks before the Easter Sunday assaults, cabinet spokesman Rajitha Senaratne has confirmed. “On 4 April, 14 days before these incidents occurred, we had been informed about these incidents,” he said. “On 9 April, the chief of national intelligence wrote a letter and in this letter, many of the names of the members of the terrorist organisation were written down." He said Prime Minister Ranil Wickremesinghe was not informed. Sunday's attacks were carried out with the help of an international network, a top Sri Lankan minister has said. "We do not believe these attacks were carried out by a group of people who were confined to this country," cabinet spokesman Rajitha Senaratne said. "There was an international network without which these attacks could not have succeeded." The body of Zayan Chowdhury, who was killed in the yesterday’s gruesome terror attack in Sri Lanka, will be brought back home tomorrow. 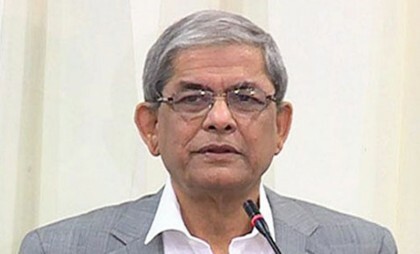 Industries Minister Nurul Majid Mahmud Humayun has confirmed the news to reporters. Sri Lanka Police says that 24 suspects have been arrested so far in connection with the series of explosions in the county yesterday. Police Spokesman SP Ruwan Gunasekara said that the suspects are in the custody of the Criminal Investigations Department (CID) and that they are being interrogated. If you are just joining us here is a summary of what we know about the series of blasts in the capital, Colombo, and other towns. * The prime minister has said officials received prior intelligence of possible attacks. An analysis of the attackers’ body parts made clear that they were suicide bombers, said Ariyananda Welianga, a forensic crime investigator. 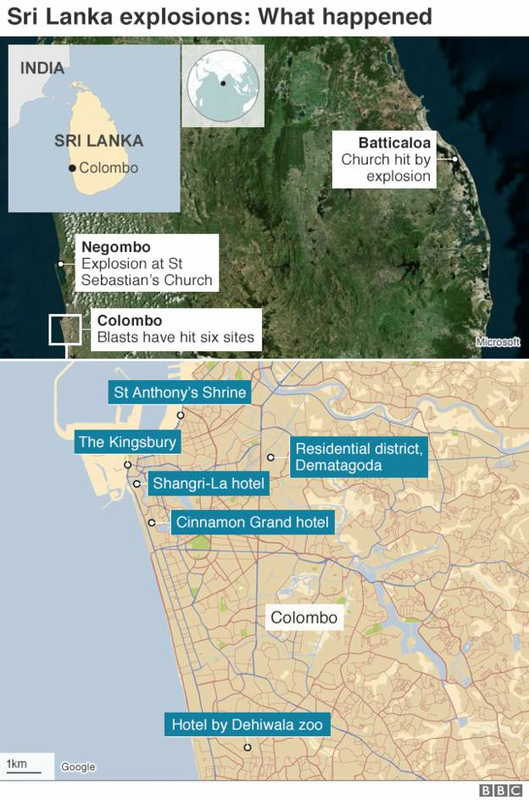 He said most attacks were by one bomber, with two at Colombo’s Shangri-La Hotel, according to AP report. Australian Prime Minister Scott Morrison says two Australians have been confirmed killed in the attacks.They were members of the same family, he says, who were living in Sri Lanka. 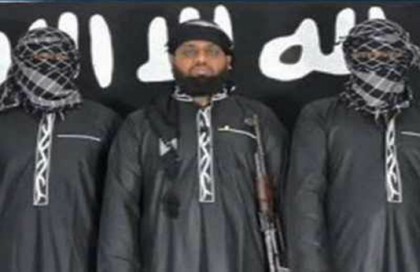 The Associated Press has spoken to a Sri Lankan government forensic crime analyst, Ariyananda Welianga, who says analysis from the scene of the hotel and church attacks show they were carried out by suicide bombers. The investigators have been studying retrieved body parts. The six attacks, he says, were perpetrated by seven attackers. The two other explosions are still being investigated. 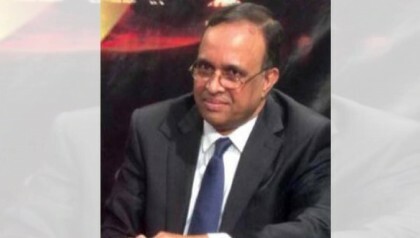 Awami League Presidium Member Sheikh Fazlul Karim Selim's grandson Zayan Chowdhury has been killed in one of the incidents of Sunday's series of explosions in Sri Lanka. 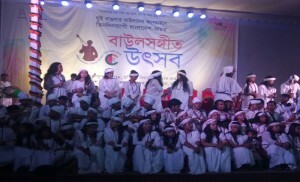 Sheikh Selim’s Personal Assistant Imrul Haque confirmed the news. The death toll from the blasts has been put at about 50 by police sources, with reports it could rise further as hospitals report their casualty figures. Four churches across Sri Lanka, including the historic St Anthony's church in Colombo, have been attacked. Three hotels in central Colombo were also hit by blasts. Stay tuned as we bring you more details and updates. Katrina to play famous athlete PT Usha in her career’s first biopic! 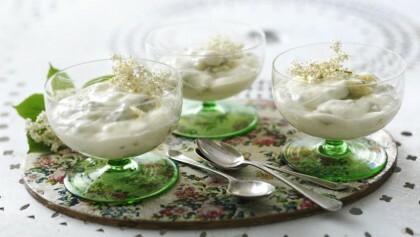 This creamy gooseberry recipe uses fragrant elderflower cordial and homemade custard in a simple make-ahead dessert. Is the scorching heat leaving you tired and dehydrated? 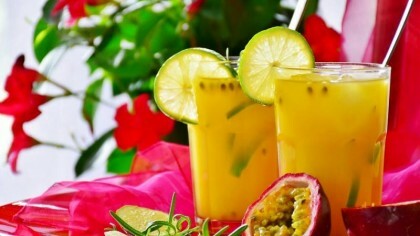 Try one of the traditional thirst busters to beat the heat and feel energized all over again.